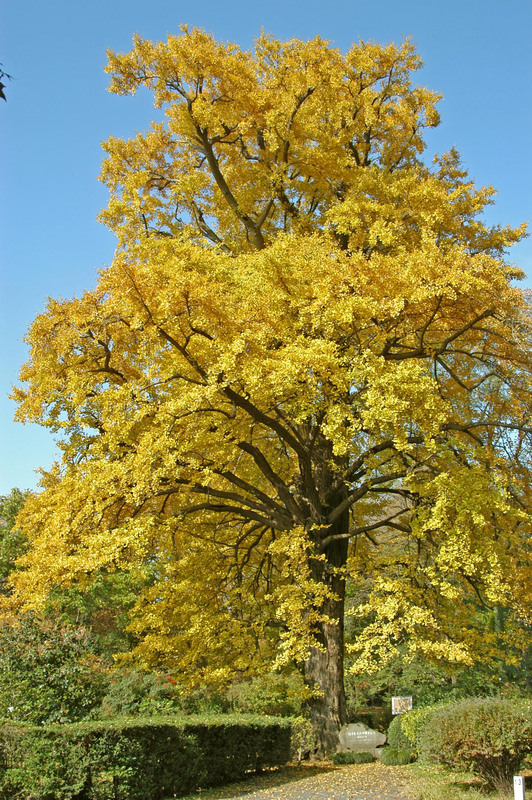 The fertilization of eggs by spermatozoids in seed plants was first discovered by Sakugoro Hirase, who used ovules from a female tree of Ginkgo biloba, a primitive gymnosperm, plant in the Botanical Gardens. 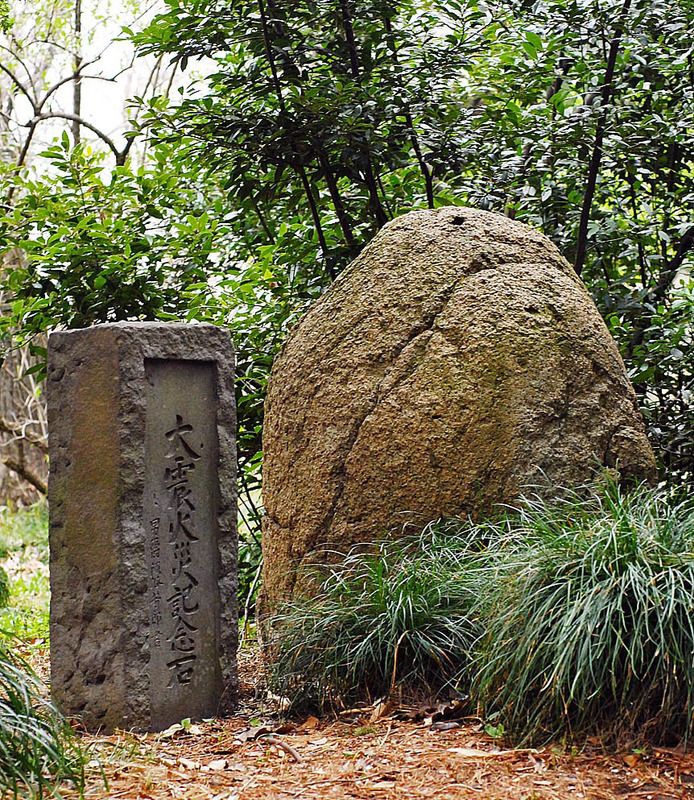 This was an epoch-making achievement during the early days of modern botanical research in Japan. In a famous anecdote, Sir Isaac Newton is credited with discovering the law of gravity after being hit on the head from an apple falling from a tree. The tree responsible for this discovery and its propagules are cared for as a scientific monument. 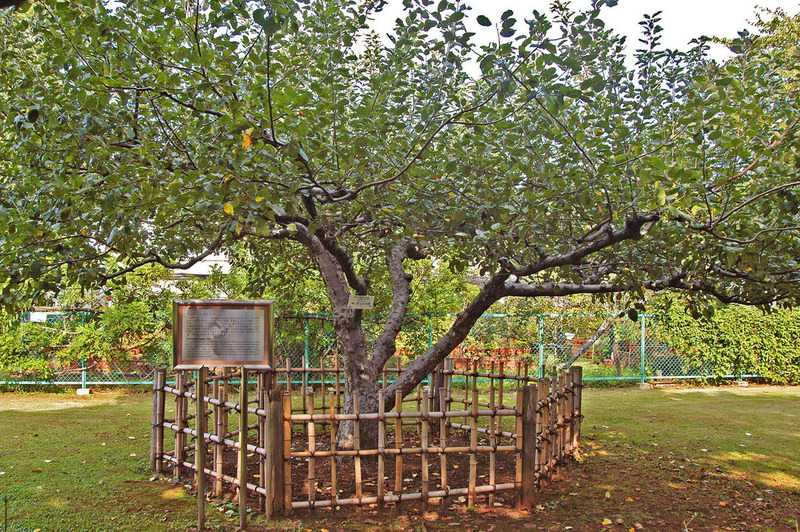 Newton's apple tree in the Botanical Gardens is a graft originating from an apple tree given to Y. Shibata, the former President of the Japan Academy, through the courtesy of Sir G. Sutherland, former Director of the National Physical Laboratory, England. 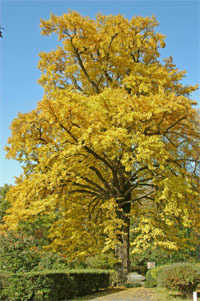 Unfortunately, this tree suffered from a viral disease, but was cured and rooted in the Koishikawa Botanical Gardens in 1981. 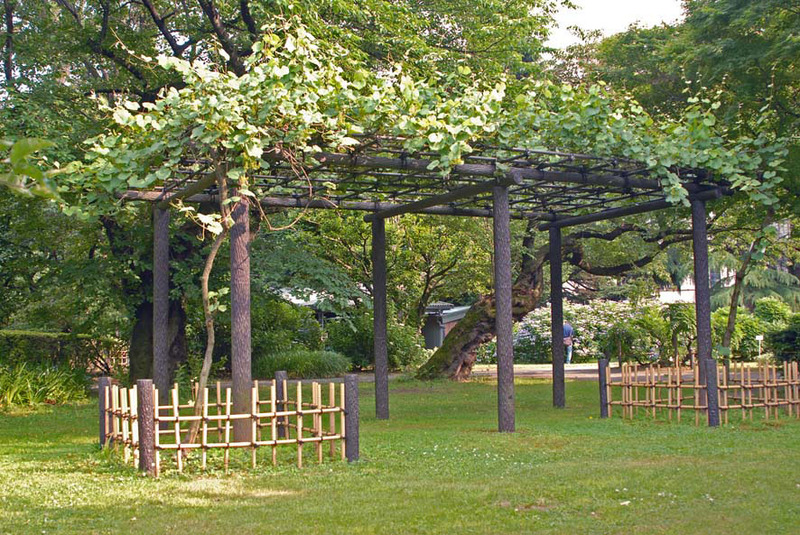 The grapevine in the Botanical Gardens is derived from grapevines used for study by Gregor J. Mendel, the founder of genetics. 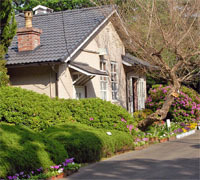 The vines were introduced by M. Miyoshi, the second Director of the Botanical Gardens. 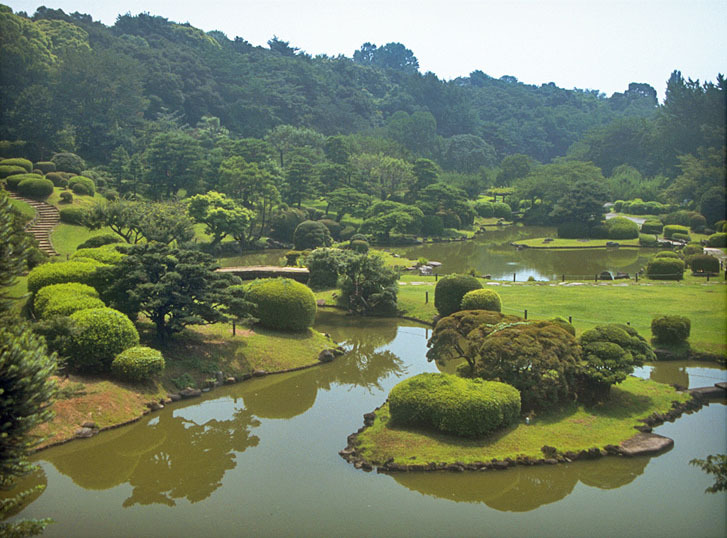 The traditional Japanese garden is derived in part from a garden of the Hakusan Palace, the residence of the 5th Shogun, Tsunayoshi Tokugawa, during his youth. The landscape is skillfully designed to utilize the natural topography and excellently preserves the style of gardening during the Edo era. Some 50 ume trees (Prunus mume), representing various races and cultivated varieties, and about 100 cultivars of Japanese irises are planted around this garden. In the northwestern part of the gardens, there is a wooden building designated an Important Cultural Property. This was a principal building of the former Tokyo Igakko (Tokyo Medical College) and is the oldest remaining building in the University of Tokyo. 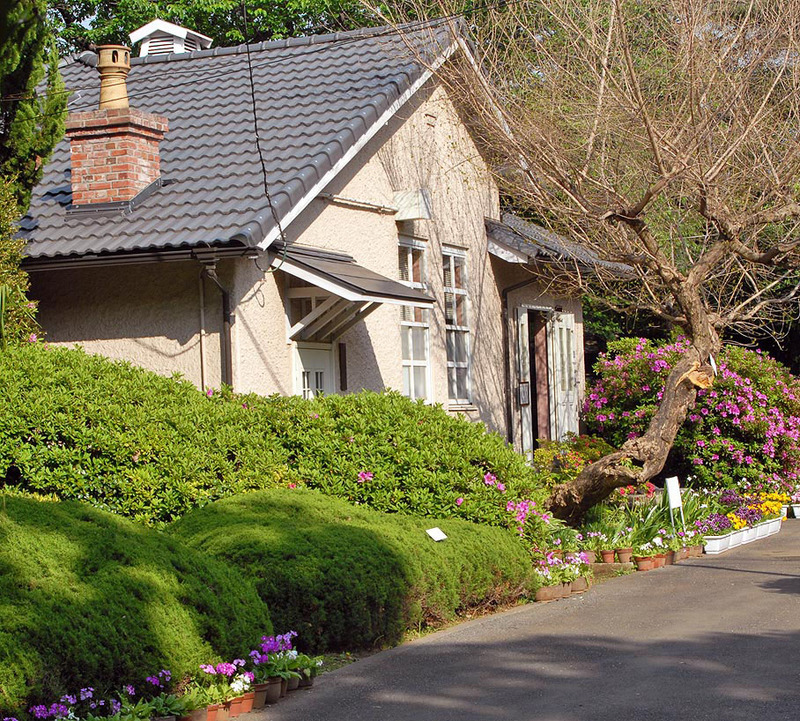 It was moved here from Hongo Campus in 1969. 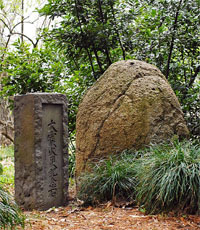 Now it is opened to the public as the Koishikawa Annex of the University Museum, The University of Tokyo. 旧養生所の井戸 Well of "Koishikawa Yojyosho"
The Koishikawa Yojyosho (Hospital) was opened to the poor in 1723 and closed during the Meiji Restoration. The hospital well remains in the middle of the gardens. 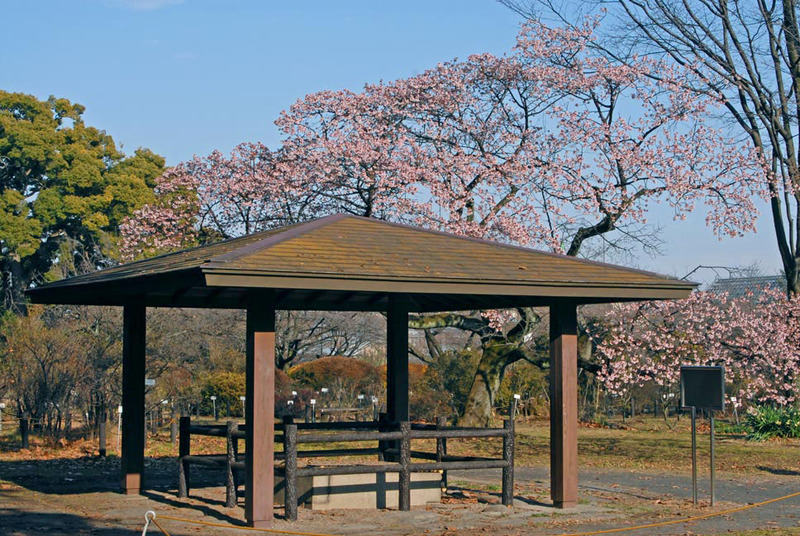 The plentiful water springing from the well was of high quality and therefore played a valuable role in saving refuses of the Tokyo Earthquake of 1923. 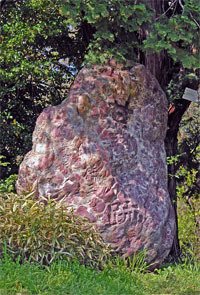 Konyo Aoki conducted experimental cultivation of sweet potatoes in 1735, the first trial of its kind in the Tokyo area. 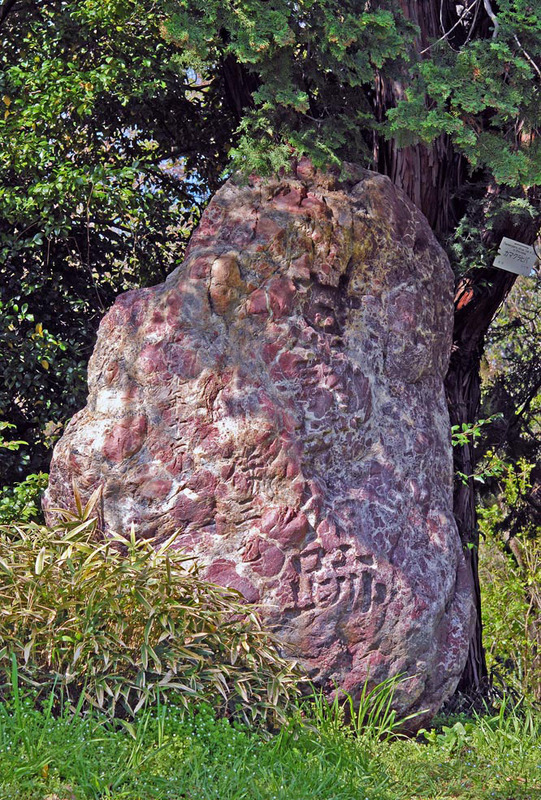 His success initiated sweet potato cultivation throughout Japan as an emergency crop and is commemorated by a stone monument resembling a sweet potato. 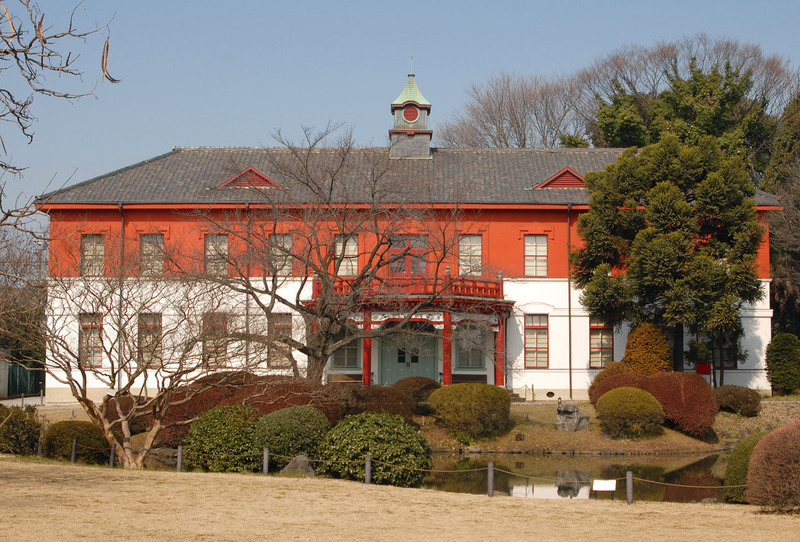 When Prof. Keita Shibata of the Department of Botany, Faculty of Science, received the Imperial Award of the Japan Academy in 1918 he donated the prize money to the University to build this biochemistry laboratory in the Botanical Gardens. 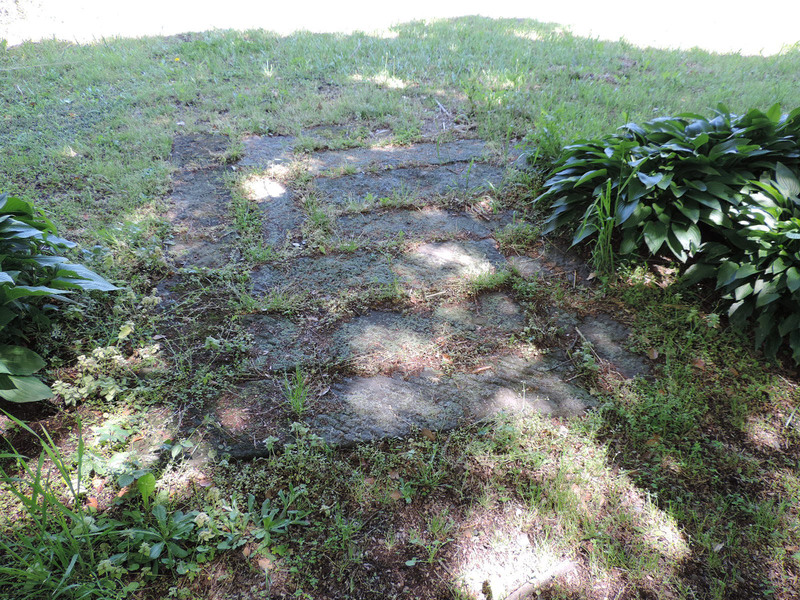 A patch of flat stone pavement some 132m2 remains from the original Edo ear medicinal herb garden. This place was used for drying herbal medicines harvested in the garden at the time. Copyright © Botanical Gardens, Graduate School of Science, The University of Tokyo. All rights reserved.